This is one of the few books that are as truly phenomenal in every regard as they can be. 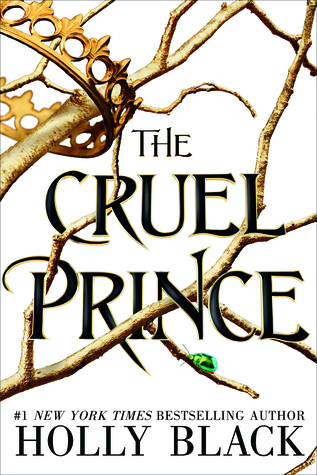 Holly Black's The Cruel Prince is as addicting and powerfully beautiful as the faerie fruit that is in the book. The characters are authentic, the momentum of the story just right, the writing mythically enchanting, and the politics of courts wonderfully convoluted. This book is just what a book with fae should be: dark, intricate, and spell-binding. Finishing this book was almost sad in a way because now I don't have the second book and I won't have the second book until some time in 2019 I believe. However, I looked on Goodreads and it says the next title is The Wicked King, which make me so excited I could scream... there's just so much to wait on! So many ways this could go! The characters and the world are hanging on the precipice of the unknown and I hate and love that feeling all at once. I absolutely cannot wait to see where this series goes. Highly recommended, this book is definitely an official favorite of mine and I really think it will explode across the community.